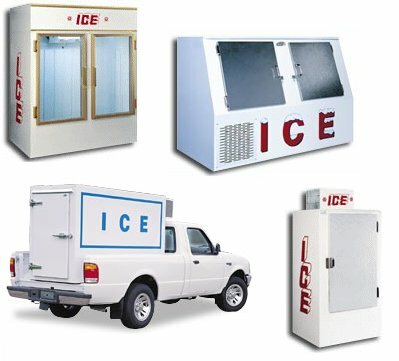 Check out this great Ice Merchandiser that has recently become available here at IceStorageUnits.com! Click HERE for additional information and pricing. We offer a full line of Indoor Ice Merchandisers, Outdoor Ice Merchandisers, Refrigerated Transports, replacement parts and supplies. Allow us to help meet your bagged ice storage needs. We proudly carry new Leer ice merchandisers. We are distributors for ice merchandisers from the world's leading manufacturer of ice merchandisers for over 50 years due to our product innovations. All of our merchandiser brands are listed by UL. We adhere to UL's strict specifications because we take your safety and our product quality very seriously. In addition to UL listing, we implemented rigid safety and quality assurance programs to ensure our customers receive exactly what they pay for, 100% of the time. What do you think about our new website? Is it easy to navigate? Would you like to see additional products listed on the website? Let us know! Please visit the contact form here and drop us a line.